The health (or not) of the entire body can be seen in a drop of blood. Blood represents the river of life. It transports oxygen, nutrients and other life-giving agents to all the cells of the body. It also functions as the garbage trucks, removing cellular waste from the cells and delivering the waste products to the liver, lungs, skin or kidneys for elimination from the body. Unhealthy blood can resemble a swamp due to poor diet, chemicals, and emotional stressors. Harmful bacteria and microorganisms can feed off these toxins, increasing the risk for disease. Live Blood Analysis can detect imbalances that may not show up on traditional lab blood tests. Live blood analysis (LBA) is the analysis of living blood viewed with a microscope. The condition and quality of the red blood cells have a direct impact on the present and future health of the individual, with stress and disease appearing in the blood years before they manifest in the body. Disease appears as stress in the blood sometimes years before manifesting as symptoms in the body. Live blood testing enables us to see the blood exactly as it behaves inside the body, giving a clear picture of health at a cellular level. Traditional lab testing is valuable, but does not always show early signs of dis-ease. Combining LBA with traditional laboratory tests is ideal for evaluating the “health” of the individual. The test is carried out by placing a drop of blood on a microscope slide, covered with a coverslip to prevent drying, and immediately observing the cells through the microscope. We evaluate the red blood cells, white blood cells, plasma and what is floating in the plasma, like bacteria, yeast, crystals and plaque . The blood plays a central role in the overall health of a species. 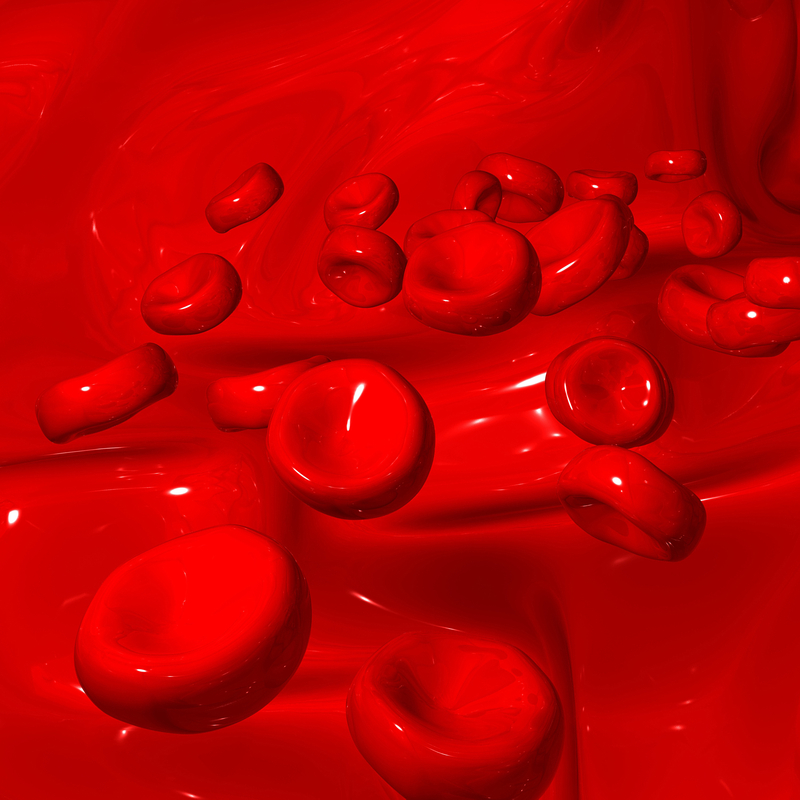 Blood is a complex liquid that comprises approximately 7.5 percent of the total weight of the body. circulating the suspended blood components throughout the body’s network of arteries, veins and capillaries. delivering nutrients to the tissues and organs. carrying minerals, hormones, vitamins and antibodies. In general, the blood helps maintain equilibrium (homeostasis) of the internal environment. In addition to bathing the body’s tissues in oxygen and collecting waste products, the blood’s major regulatory functions involve nutrition of cells, defense mechanisms and maintaining proper body temperature. The blood also facilitates the body’s adaptability to different conditions, including changes in climate, stressful physical activity, new dietary habits and resistance to injury and infectious organisms. The circulatory system is the means by which oxygen, nutrients, antibodies, and hormones are transported to the cells to keep them alive and functioning. Normal RBC’s are round and separated and move through the capillaries very easily. When the blood gets to this condition the amount of oxygen that can be transported is severely diminished. This condition is caused by dehydration, high fat and protein diets and high acidity. The result is target tissues are not getting proper amounts of oxygen and nutrients which leads to stress on the body, compromised metabolism, immune suppression and ultimately many degenerative dis-ease’s. Uric acid is a byproduct of protein metabolization and urea. When the body becomes acidic the urea forms crystals that can lodge in the joints or in the tissues. Uric acid is the cause of gout and one of the causes of fibromyalgia. These crystals are shaped like knives and is the reason it can cause so much joint pain. Cholesterol is an important sterol in the body that is the precursor for many important hormones. Only when the body is acidic does the cholesterol crystallize and become a problem. This is probably the most seen crystal in blood analysis, but it’s important to realize that cholesterol is not the problem when you see the crystals, acidity is. A fungus that feeds on undigested food and sugar in the blood. 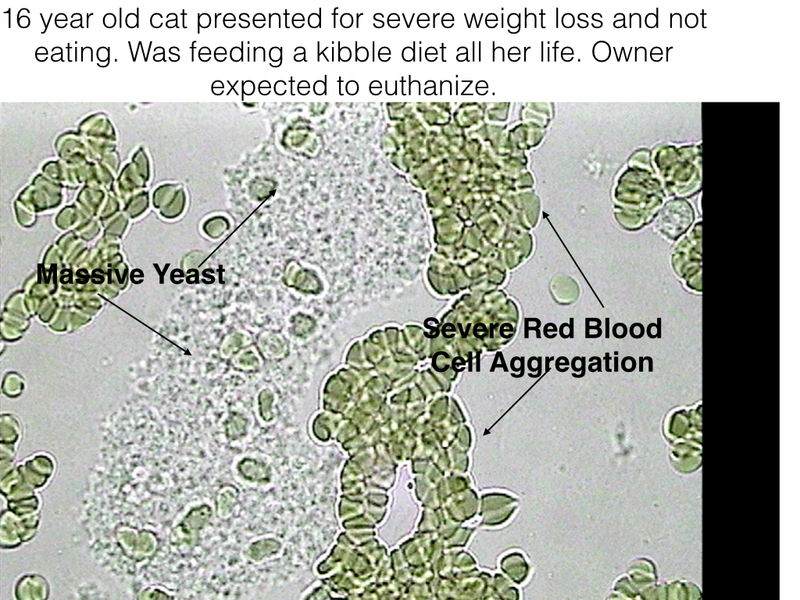 The principle yeast found in the blood is Candida Albicans. It is usually found in people with cancer, fibromyalgia and those with chronic fatigue and in dogs and cats eating a high carbohydrate diet. This condition is also indicative of over acidity as yeast cannot live in an alkaline environment. Live blood analysis offers a great deal of information and provides a fast and effective means of evaluating the efficacy of treatments.